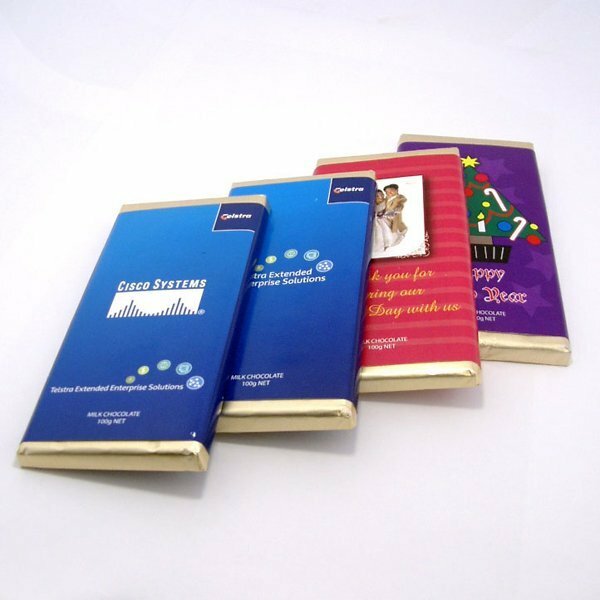 The personalised Chocolate Custom Printed Postcard is the ideal way to send a message to your valued contacts. Bring out your corporation’s artistic flair with our chocolate promotional Custom Printed PostCard. We at Fast Confectionery are delighted to present you these personalised items to serve as wonderful treats to plug your business. Aside from its inventive character and uniqueness, it’s also a bang for the buck advertising that would make your brand seal the deal! 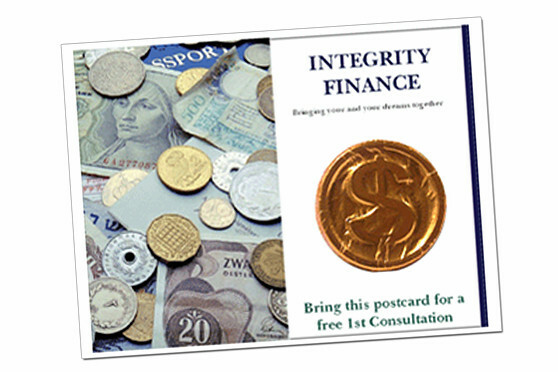 So hand or send them to your prospecting consumers and target clients and your company will be such a corker! This chocolate Custom Printed PostCard of ours will let your originality come out because of its clever nature. Sized at approximately 45mm(h) x 45mm(w), you can have any of your artwork or business logo printed in full colour on superior quality paper stock! So unleash that art master in you and send us your design. And the best part? 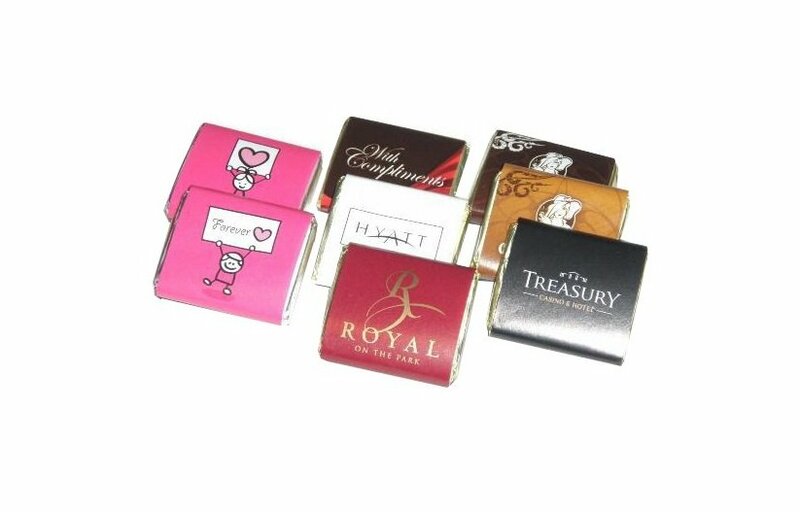 It comes with 16 grams of luscious chocolate in foil in which you can completely mould to your brand. Our team is certain that any crafty concept that you have will have endless possibilities of branding with these beauts! Our goods bear our pride as each of them are made with the finest ingredients to fulfill any person’s sweet tooth just like this branded chocolate Custom Printed PostCard of ours! As postcards have been known as still photographs that make the invisible visible, the unnoticed noticed, the complex simple and the simple complex, and chocolates as notorious sweets ever noted in history, this product will definitely make your name standout! We have numerous varieties in our vast collection of products. Beat other companies by a long shot by taking a a shot at our Giant Chocolate Freckle Card, for a more generous serving of succulence for your upcoming marketing exercise. You could also have a look at our custom embroidered Flex Cadet Style Cap from Fast Caps in case you wish to give out something wearable to display your trade name as well. We assure you that any of your business graphics will go well with it! Be in the right time at the right spot and call us at 1300 008 300 or chat with us with the message box below. Talk to you soon! Custom moulded chocolate in foil presented in full colour custom printed postcard.